This is one of four similar paintings that Blake made for Thomas Butts, the others being Adam, Eve, and Christ. 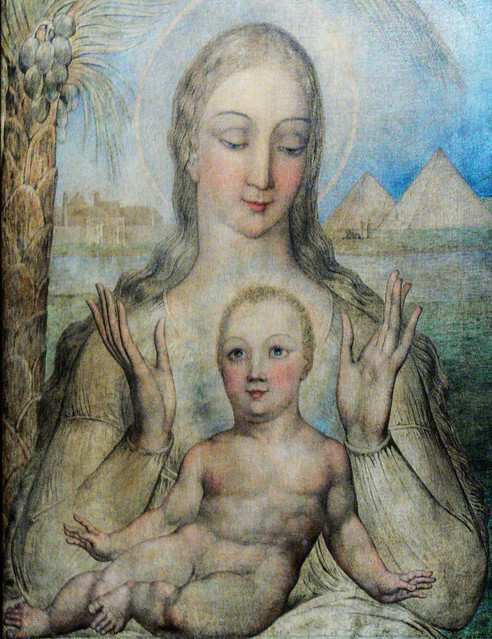 Blake depicts the Virgin Mary and Jesus under the palm tree where they are said to have sheltered. The Pyramids are in the distance, and the Nile and walls of Cairo in the background.